Final commander of American forces in Vietnam who was, ironically, among the first to believe the war was a lost cause. He served as an intelligence chief in the China-Burma-India theater during the last years of World War II. 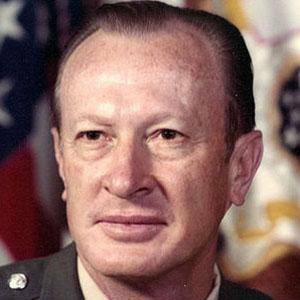 His intelligence background enabled him to thwart a major North Vietnamese offensive. He had two daughters and a son with his wife, Mary. He reached the rank of U.S. Chief of Staff, a position that Martin Dempsey would take in 2011.